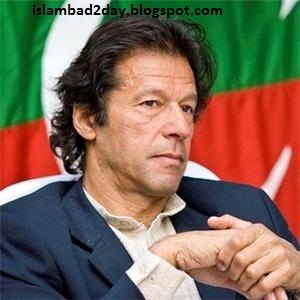 ISLAMABAD: Irked by inaction on the Supreme Court’s order in the NRO implementation case, Pakistan Tehreek-i-Insaf (PTI) Chief Imran Khan said Wednesday that it was merely the powerless men who have to endure jail terms while the powerful get NROs. He called this the biggest problem of Pakistan. “A powerful man steals in the country and gets the NRO,” he said, referring to Younus Habib, the owner of Mehran Bank implicated in the Mehrangate case for allegedly having a hand in the creation of the IJI. “This was also the NRO, they did not let an inquiry be conducted and did not let him be sentenced,” said Khan. “Only the powerless man goes to jail and this is the tragedy today,” he added. Khan said that Pakistan was in quicksand. “Who collects tax and who will end corruption?” he said was the question that needed to be answered. “The one who cannot do this cannot pull Pakistan out of this quicksand,” he added. Referring to certain politicians, he said that those who themselves “have allegations against them of taking Rs3.5 million and those who have Rs5 billion in Switzerland yet say they will not tell” cannot pull the country out of this quicksand. “They will save each other and not take any action except for this noorakushti and giving statements,” said the PTI chief. He asked why the Supreme Court’s order had not yet been implemented. “When the time for the real job comes, i.e. to investigate, where is the FIA inquiry?” Khan said.